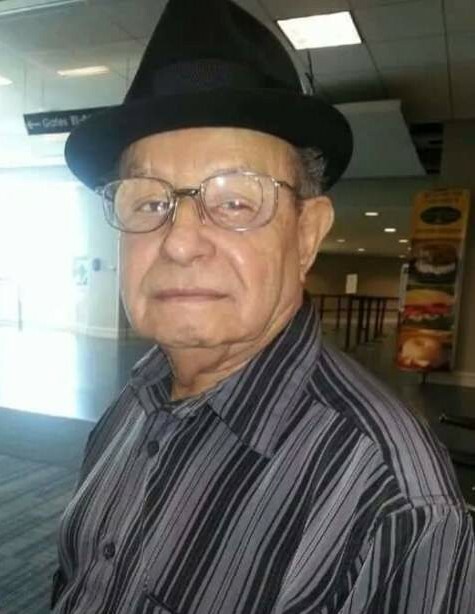 Manuel Perez Colon, 91, of Grand Rapids, Michigan, went to heaven on March 31, 2019 at Spectrum Health Butterworth Hospital. He was born in Barceloneta, Puerto Rico, on July 8, 1927. He was dedicated to reading the Word of God. He enjoyed reciting verses of the Bible as well. He was also big fan of the Detroit Tigers and Detroit Lions. He is survived by his two sisters Rafaela Perez Colon and Luz Eneida Perez Colon, his children Jorge (Rose) Perez, Manuel (Elva) Perez, Israel (Carmen) Perez, Agapito (Peggy) Perez, Shirley Ann Perez, Ricky Perez, David Perez, Luz Miriam Perez, Manuel Perez Otero. Step children Ortencia Vazquez Sanchez, Eloysa Jaramillo, Rachel (Joe) Kelm, Adelita (Morten) Haller Nielsen and Luis Tosado along with many grandchildren, great grand children, great great grand children, neices, nephews and cousins. He was predeceased recently by his son John "Johnnie" Perez.